If you ask any business owner or executive team what one of their top objectives is, they will almost all tell you continued or increased growth in sales. Without fail. If you are a casual or serious investor in equities, you know the name of the game is growth potential. All of this being said, when we meet with a small business that wants to grow, the common element missing is almost always marketing. The obvious problem is that business growth requires marketing. It doesn't matter if it's a manufacturer, a healthcare company or an educator. They all have the same hangups when it comes to growing their business. Depending on the type of business you are in, increasing the number of times in a year that your existing customers buy may not be possible. Unless you are able to add substantial value beyond what your clients can, you are probably not able to jack up your prices to increase sales. That leaves getting more new clients. Despite the fact that many small businesses have no real marketing strategy or effort, they are often very focused on growing their businesses by getting new customers. Unfortunately, this often leads to very ineffective cold calling, high cost/low return trade show exhibits and one time mailers. You might be saying, hey wait, that's marketing! Nope. Those are a series of blind tactics being taken to try to get more customers. There's no cohesive plan to generate leads, nurture them into qualified leads and close them into customers. Rather, these are all "shots in the dark". You're throwing efforts against the wall and seeing what sticks. Real marketing is much more strategic and thought out than that. Unfortunately, the "professionals" you talk to at the newspaper, radio station or TV company won't tell you that. Instead, their efforts on your behalf will be much like your efforts on your own. They'll create an ad or 2 for you. They'll throw them out on their platform and see what sticks. Your marketing should be better than that. Inbound marketing is about strategy. It's about the way today's buyer looks for a solution to their problems. It's about seeing truly measured effort and return, not throwing tactics against the wall and seeing what sticks. Because of all of this, it's more effective at achieving your ultimate goal of growing your business by getting new customers and turning your existing customers into raving fans. Because Inbound Marketing is such a measurable strategy, you aren't blindly spending a fortune on the items that don't "stick". You can close the loop between an investment and the return of an acquired customer. 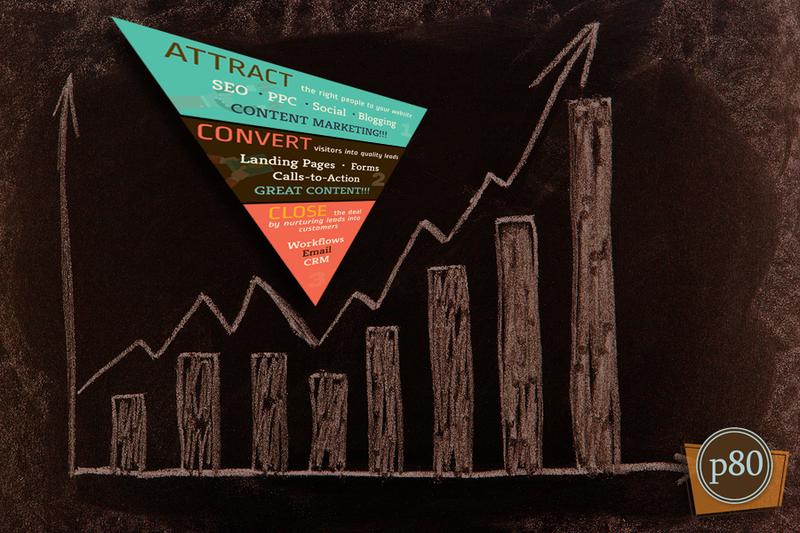 Inbound Marketing is also much faster when it comes to generating quality leads. You might be asking, but doesn't SEO take a long time? It can, yes. Pay per click, though, can produce immediate inbound results. You can reach very targeted prospects with a very minimal investment. So can social media. All the while, we can measure what's working and do more of it, immediately. All the while, you are reaching prospects that are actually looking for your solution. Run an ad in the newspaper, and pray that the right prospect is looking at the paper. Run a radio ad and pray that a prospect is actually listening to the radio station your ad is on. Place some billboards around your prospect's location and hope they notice when they drive by. Show up online when they are actually looking. Instead of interrupting your way into your prospects' lives, you can actually be there when they are looking for you. You can use educational content to pull them in and generate leads. You can continue to nurture those leads until they are closed sales. None of those steps are dependent on seeing what's still sticking at the end of your advertising budget.